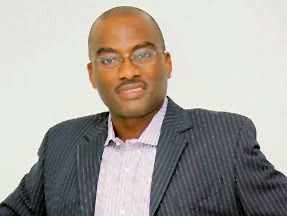 A PAPER DELIVERED ON TUESDAY, APRIL 15, 2014 BY CHIEF DAYO ADENEYE, CEO SIERRA COMMUNICATIONS LTD, CO-FOUNDER PRIMETIME ENTERTAINMENT @ AFRIMA STAKEHOLDER’S CONFERENCE IN LAGOS. Good morning, I will like to recognize the chairman of this occasion, the special guest of honor, members of the high table and distinguished members of the Nigerian press, especially the entertainment journalists. You are all welcome to AFRIMA stakeholder’s forum. Let me start off by saluting the courage of the organizers, All Africa Music Awards (AFRIMA) for their devoted courage to organize an auspicious event like this where issues relating to the development of the African Music Industry are raised for the purpose of showcasing ideas and breeding agendas that will enact socio-economic progress for the industry. I was far away in Abu-Dhabi, United Arab Emirate on a special assignment when I got the mail inviting me for this occasion last Tuesday. On one hand, I initially felt the need to shy away from the subject matter because of the shuddering emotions majority of our people habitually attach to one’s contribution (I and my partner, Kenny Ogungbe) to the development of the modern day entertainment industry in Nigeria. Our interventionist role in the last 18 years through innovative radio and television programming coupled with our event management skill is largely seen in certain quarters as an over hype. But in a shift of thought, I felt honored with the credible intention of the organizers who deemed it fit to let the horse speak by itself in order for all to hear it directly from the horse’s mouth. I appreciate your honest discretion and for this reason, I made it a point of duty not just to honor the invitation but as well submit my own honest opinion on how we can continue to develop a robust music industry that will generate real economic gains for Africa beyond that of oil and gas. Let me use this moment to tell you that I will try as much as possible to act the role of your favorite lecturer in class, so that I don’t burn your feelings with hard facts and deflate your patience with dry speech-making. The theme “Harnessing our Music Potential for Africa’s Development” is a timely discuss especially as regards the near time fear of losing our economic meal ticket of crude oil and the bad diplomacy brewing among nations in our continent. At a time when Nigeria is now the target of diplomatic foolery in countries like Ghana, Malaysia, South Africa, Cameroon, the Gambia and Zimbabwe where the President, Robert Mugabe recently labeled us “a country of corrupt people”; maybe the only commodity at this very peculiar time that is sellable from us to them apart from politics and diplomacy is Music. Call it the “diplomacy of the beats” and I will score you high. Our music as we all know is now the biggest radiation across Africa. If we are to develop Africa, and diplomacy is going to fail us in the long run and our oil power will not measure up why not sell our Music? Of course, music which is the undisputable language of the universe will never break us but cement us further for a better living. However, the sub-theme, “Music Returns beyond an award” is more like a wake up call for us to make the gold glitter rather than the present mirage masquerading as reality. It is a call to duty, for all stakeholders including AFRIMA and the rest of us to look at the critical problems in terms of wealth allocation, which foster progress in the industry in past times and for us to make rules for a new way the artiste in Nigeria and elsewhere can benefit from the toil of his brain. Before opening the bottle to consume the drink, let us search out for the content information. Let’s take it from the cradle by asking ourselves “What is Music?” the Harvard word encyclopedia dictionary defines music as “the expression of feelings and ideas in organized sounds; an art which in one way or the other permeates the human society; a multi-dimensional art which lends itself to alliances with words (as in song) and in physical movement (as in dance)”. In permeating the human society, we can all see that Music has been with us since the beginning of time. A number of great philosophers see Music from different perspectives, Aristotle sees Music as a ‘diverse and complicated network which has the power to mold human character” while Pythagoras one of the founders of Mathematics and first musical numerologist insisted that “Music was a branch of mathematics for philosophers”. I don’t know if we are to agree with him, that music is an offshoot of Math. Confucius in his own remarks says “Music is a true mirror of character and makes pretense or deception impossible for it can reveal character through six emotions”, to Confucius Music can portray sorrow, satisfaction, joy, anger, pity and love” whereas Plato, one of the greatest of them all sees Music as “a department of ethics”. He sees a similarity between the character of a man and the music that he presents”. Today Africa is seeing the character of big brother Nigeria through the music we present and we can equally see the character of our sister nations from the kind of Music they present. We at Primetime Africa and Kennis Music have facilitated several musical collaborations between local and international artistes in the past to the adoration of Pan African Musical Development. Some of our major artistes in time past and right now have won several awards across Africa and even in Europe and America. And the attendant riches that characterized that effort can only be measured from their present status. Name it from Tuface Idibia to Lagbaja and several others we have made our mark known in the sands of time. Because Africa is part of the global village, I will like to say that Music as a vocation is a phenomenon that lends itself to different interpretations and opinions of people and as such, different societies have various traditions of Music origin which can be broadly classified into natural and supernatural or divine sources. It could also be sub-divided into religious and social sources. Therefore, for the sake of this paper, it is important for us to adopt a general approach and look at Music as a body of information about the society in which it took roots and its use and impact on that society in the realm of copyright. Copyright is closely related to music; it is one of the major pillars of the Music industry; a cornerstone and undisputable factor for the very existence of that industry. This paper is determined to look at how we can harness our music potential for the development of our continent but in trying to x-ray the topic, we need to equally look at the mystery of globalization and how it affects us as a continent. How it affects the economy of our own Music or the Music of our economy. In 2011, it was globally acclaimed that the United State Music industry net a profit after tax of $15.2 Billion Dollars with digital sales surpassing physical (CDs and Cassettes) for the first time in history according to PriceWaterhouseCoopers, a leading global rating agency. That should tell us something about the future of Music economy, globally. While we can say America remains the biggest western Music market, it will not be wrong to say Nigeria is taking that role right away in Africa and the fact that our artistes are heard everywhere from Gambia to Ghana, Sierra Leone to South Africa, Kenya to Kinshasha, Zambia to Zaire, Cotonou to Cameroon and elsewhere; coupled with the several awards that is rolling in, name it, KORA, MTV Awards, Channel O, Ghana Music Awards and many others, Nigeria and Nigerian Music has proved beyond doubt that we are leading in the continent and that we are indeed developing the continent through Music. In recent times, we have gradually moved from what was formerly termed a “music scene” to a “music industry”. From Remedies’ Mi o Shakomo to Don Jazzy and Dr. Sid’s Suru-Lere, our boys have really proved their mettle on this continent and have come to be regarded as men. However, in tackling the challenges of “Music Returns beyond an Award”, I will go back to the Globalization mystery I highlighted earlier. The question is; what makes Music work as business for them in America that doesn’t work for us in Nigeria or Africa? The answer is- Digital technology. Digital technologies have revolutionized the music industry by creating high quality, low cost recording technologies and digital distribution strategy along with the proliferation of devices to download and listen to music without recourse to the label owner or the artiste. As a label manager, one’s experience in the management of artistes’ reputation and career is enough education to bring us to modern reality. So, what can the Music industry do now? Necessity is the father of invention, so they say. If Africa must harness her musical potential for economic gains that will develop her; and if the music must pay the bills of the artiste beyond the accolades he or she gets from the plaques then, we must harness the potential of the peer-to-peer technologies through a robust act of copyright enforcement. Saddled with a nightmarish experience of seeing the revenues of Record labels falling by more than 60 percent in recent times due to the fact that copying music has become so easy and the risk of getting caught minimal, one can say it is high time that the industry yield to “Change” which is the constant thing in life. And this time around, we are talking about a digital change that will drive a Techno-Savvy economy. This paper will try to look at certain strategies that both government and private sector can imbibe for the development of Africa’s music industry. We must equally take note of the fact that Africa is part of the global village and the same rudiment of success in America can also work for Nigeria and Africa. And the same measure of failure in Somalia can also be adapted here for maximum crash. Here are some ways in which African music industry could adapt and in some cases already is adapting. I want to also let us know one thing before I delve into the necessary solutions. One, the future is bound to be different from the past and secondly, easy piracy through technology or any other form of copyright infringement does not mean the death of creativity in the music industry. Today’s African music industry is lucky with the decade old presence of the telecommunications companies on our continent. Let me use the Nigerian example as a good case study. The most obvious adaptation in the face of the digital technology induced loss of revenue for the artiste and label owner is stage performance. Yes, the creative product is easy to steal but you cannot steal a live performance. Can any body here tell me how pirates can steal live performances of musicians? (Quiet for response before continuing) if No, then we can tell you that the centrality of live performances is of great benefit to the musician. With the likes of Glo Campus blast by Glo the telecommunications brand and Nigerian Breweries’ Star Trek and many other innovative ideas by telecommunication firms in Nigeria, the musician can conveniently make a fortune for himself on a steady rise. This is an addendum to the endorsement spree that is fast changing the fortune of the industry in Nigeria and Africa by extension. By shifting the business model away from easily copied product in form of an album or a song, and towards the hard-to-replicate stage performance (Concert) that can help to stabilize the fortune of the musician. That is one area I seek to promote as the new cash-crow for the African Musician which can also bring rewards beyond the awards. In proposing a live performance strategy for the musician to survive and live his worth in the face of a new digital economy sapping dilemma, this paper is not unaware of the fact that some artistes are not just good for the stage. In a 21st century technology driven music recording industry, what has changed is the extensive development in information storage, personal computing and digital networks. And since technology is no respecter of barriers, what is clear here is the need for re-direction in digital retail economy where music consumers can purchase (stream) items to use on their digital devices i.e., iTunes, Blackberry, PCs etc via a regulated and mature ecosystem of platforms regulated by law. As the recording industry matures into this ecosystem, the Musician and his label owner will need the joint efforts of information technology specialists to work hand in hand with the PR, marketing and legal department to fashion out the best strategy for the artiste to earn his fortune successfully. We are in the age where music bloggers and blogging is the game of the day; where majority of young people have demonstrated a voracious appetite for online music. To them, this is a new technology that offers more choice than the old technology of CDs and LPs. Of course, this system has made music to be easier to copy but can we stop the blaze of technology? Can we suppress the whims and caprices of the surge it brings along? No. but we can regulate it in a way that it will benefit the continent through a legally monitored framework. In achieving this, we must force the hand of government to regulate the new industry through standard copyright laws that will guarantee fortunes on the part of the artiste and decrease fraud from techno-piracy. In arriving at this, legitimate subscription services for the various artistes and music labels will provide effective streaming unto subscribers’ network devices for a monthly charge just like blackberry users do to enjoy the services on a monthly regime. This sleek service will enable users to legally stream millions of high quality tracks-including whole albums from a deep library of mainstream and independent artiste across Africa. But in achieving that, the government across African nations must imbibe the already accessible articles of a digital millennium copyright act which will aide and guide the new industry. Our industry must wake to the reality of using the rule of law to enforce the rule of money. This is the only way the industry will grow out of its present ignorance and yield bountiful success that will be part of growth statistic for Africa. > Promote protection of intellectual property throughout the world through cooperation among states and where appropriate, in collaboration with any other international organization. As regards the promotion of intellectual properties through out the world, WIPO encourages the conclusion of new international treaties and the modernization of national legislations. It equally gives technical assistance to developing African Countries. As far as WIPO’s status as a specialized agency of the United Nations is concerned, it is to be noted that under article 1 of its agreement with the United Nations, WIPO is responsible for taking appropriate action in accordance with its basic instrument and the treaties and the agreement administered by it, inter-alia for promoting creative intellectual activity which is subject to the competence of the United Nations System. In planning and implementing its objectives for developing countries, WIPO is guided by the relevant objectives of international cooperation for development, with particular reference to making full use of intellectual property for encouraging domestic creative activity, for facilitating the use of literary and artistic works of foreign origin and for organizing easier access to the scientific information contained in millions of patent documents across the world, all these should serve the cultural, economic and social development of Africa through the development of our music industry. WIPO if courted well could be the desired vehicle that will carry us to the land of real economic success in Music business. 151 countries including Nigeria was party to the convention establishing the World Intellectual Property Organization (WIPO) on April 9, 1965, the convention constitution in 1965 was amended in 1979. Today, copying through digital piracy is a fact of life in the music world, yet music is not dying and it won’t die. The artiste could sing good songs, organizations could commend his efforts with plaques but your question is where the money is? What happened to material success? But this paper still believes that music is the next economic earner for Africa even more than oil and gas; we may be facing challenges now, but we will win in the long run and the business will continue. The practitioners will continue to practice and creativity will continue to be the hallmark. From the label owner perspective, life has never been better, more musical choices, more easily obtained than ever before. Yet the music industry can change further to better survive a world of easy copying by taking into strict considerations the major objectives that has been highlighted in this paper. Here, AFRIMA and other stakeholder have a lot of work to do. First is to convince government of the day across Africa, that music can bring real money than oil, gold, diamond and other natural resources. And that the better government forms the credible habit of giving legal protection to that industry through the articles of thorough bred organizations like WIPO coupled with strong effective local legislative acts that will inculcate the reality of technological influences, the better for a robust economic development gain that will develop Africa. The result will be a very different music industry and a world with a lot of great music from AFRICA.